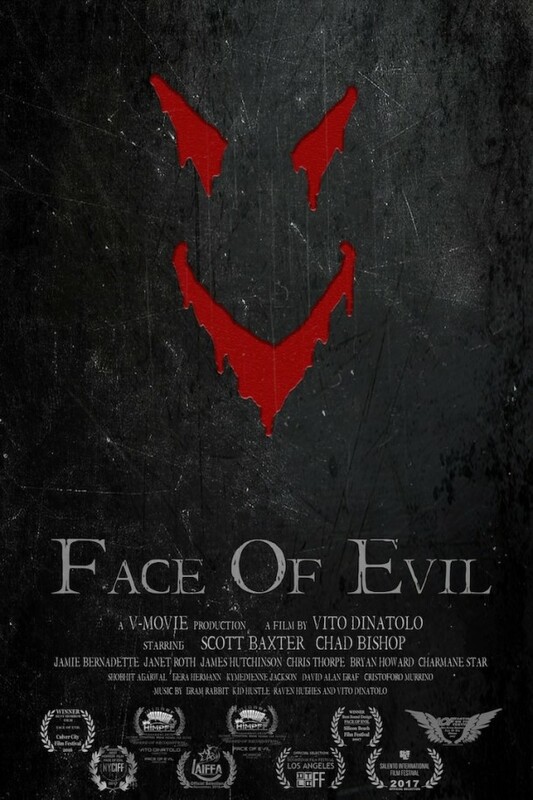 Trailer For Vito Dinatolo's FACE OF EVIL Is Within! Infection outbreaks can really fuel a story line and provide a lot Horror if done correctly. Filmmaker Vito Dinatolo has unleashed his film titled FACE OF EVIL among the masses as it is now available on DVD and VOD. Head on down below to have a look a the trailer. FACE OF EVIL stars Scott Baxter, Chad Bishop, Jamie Bernadette and Janet Roth. "On July 4th, private Jay Williams returns home from the Middle East, but a mysterious epidemic breaks out and infects his friends at his party. On the road to salvation, Jay is joined by his ex-sergeant, who reveals chilling secrets leading to a conspiracy. The night has just begun, as they embark on a survival quest for the ultimate truth." FACE OF EVIL is now available on DVD and VOD from Gravitas Ventures.